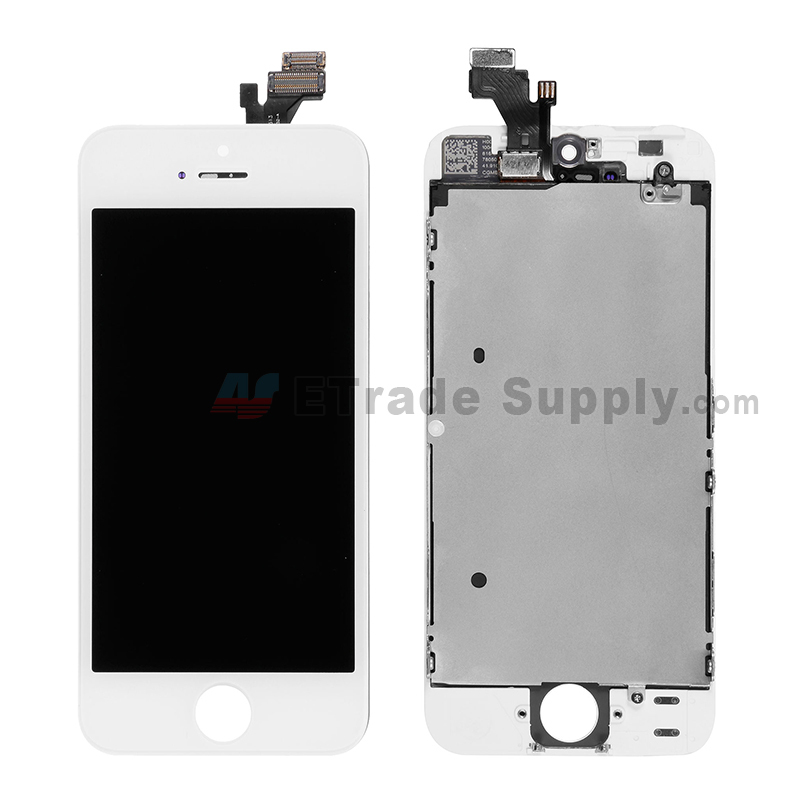 High Copy iPhone LCD Screens VS The OEM Ones? 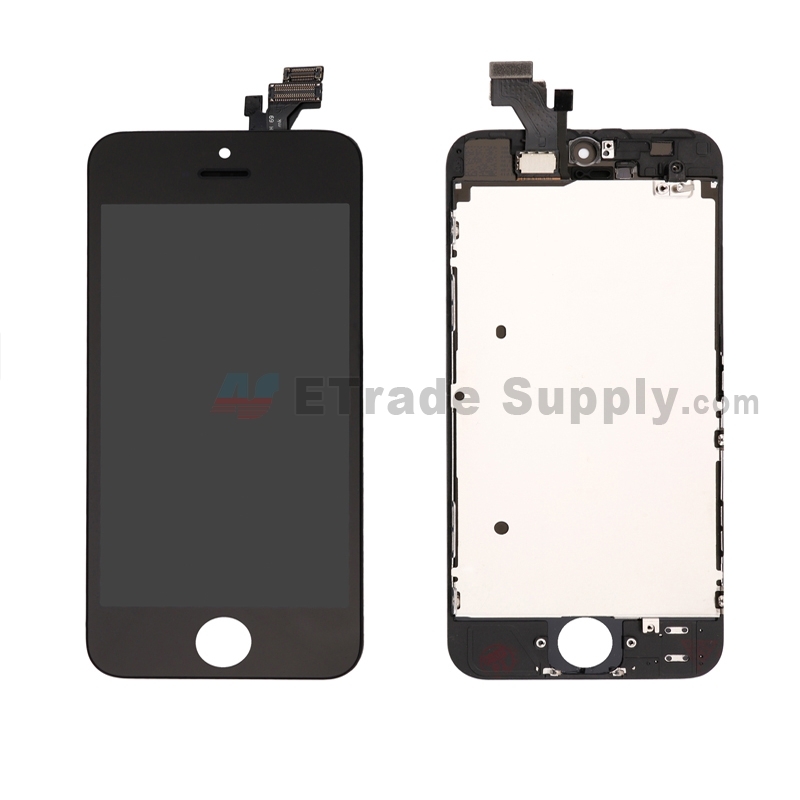 Home » PARTS DETAILS » Are The Flood of New High Copy iPhone LCD Screens as Good as The OEM Ones? 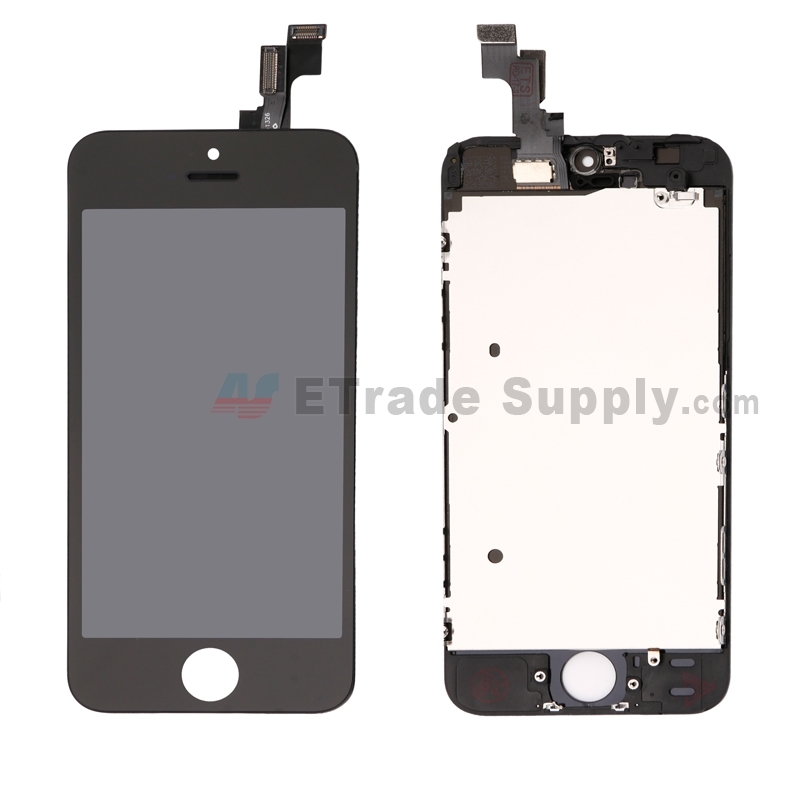 As far as we know, there is a complete high-copy substitute for iPhone 5 series' LCD screen assemblies available in the market now, due to the iPhone LCDs' shortage. 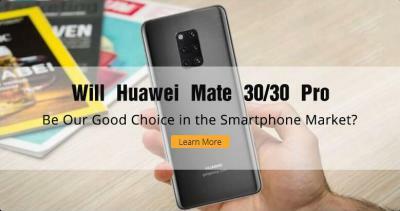 As always, this new product also has pros and cons. 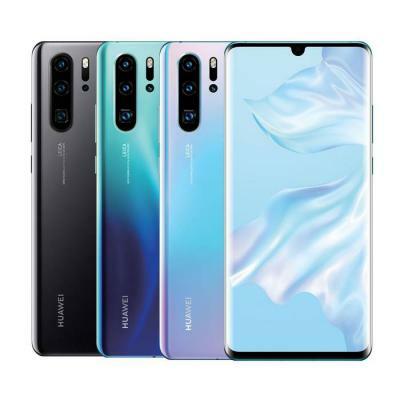 Obviously, the high copy parts are much cheaper than OEM ones and work well, however, we found that the quality of the new copy displays is not always as stable as expected. Through a series of testing and analysis, the results show that the parts will go bad or stop working under certain circumstances, what’s more, the defective parts may damage the motherboard. It still needs time for manufacturers to optimize the process and improve the quality. 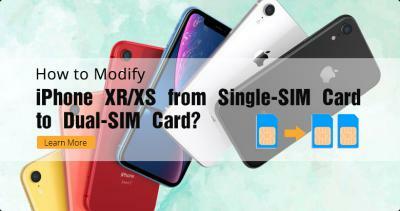 To prevent our friend in cell phone repair community from suffering the loss, we show you guys our analysis below and make sure you guys stay in the know. From the pictures, you can see the differences between the OEM and copy parts. There are two different points you can find easily. The first one is the IC. The IC on copy parts are smaller and not very neat lining-up. 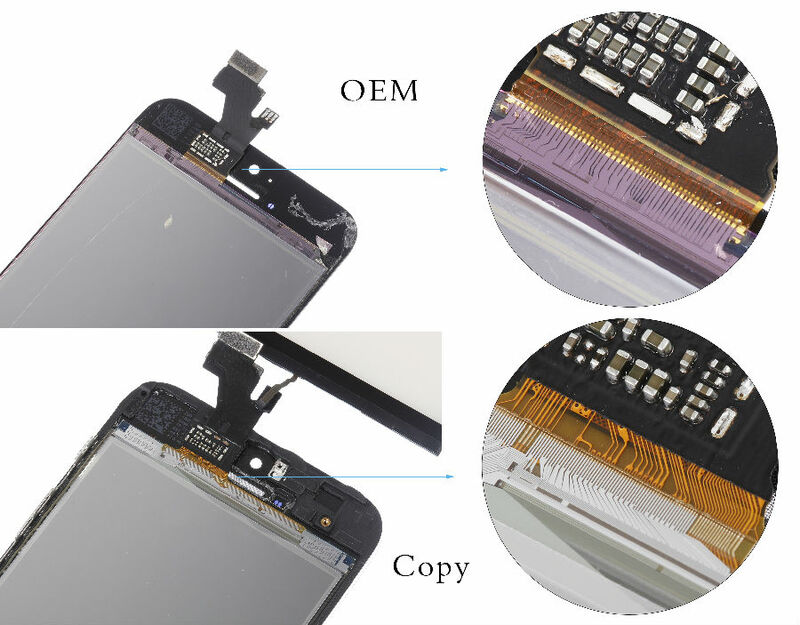 The second difference in appearance is the flex cable. 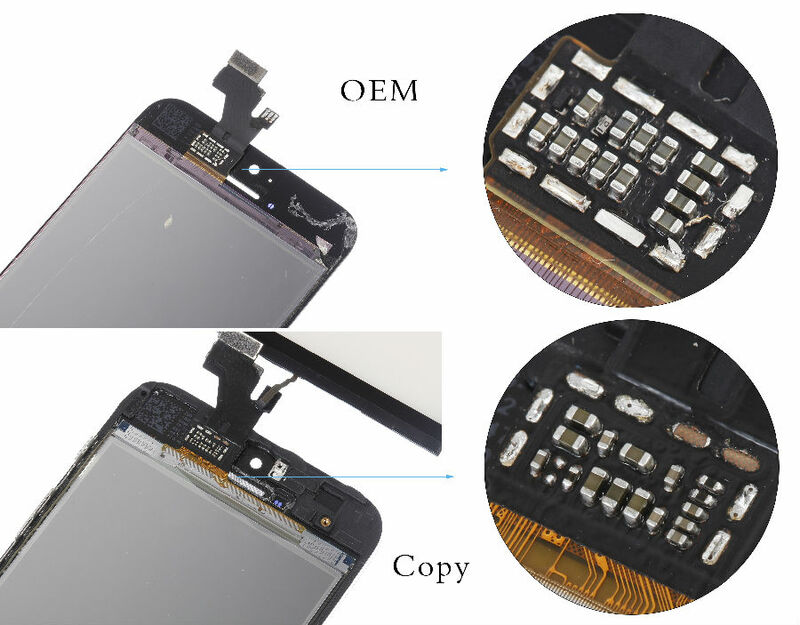 The circuits in OEM flex cable are organized perfectly and look nice, while in copy parts the flex cable texture looks complicated, which makes it hard to believe that the parts will work fine in a long time. GFF touch-screen display technology, which almost make sure the same display performance like OEM, however it also cause the increase of entire thickness. After testing lots of samples and compassion, we had the results of the thickness when different LCDs are installed. We also have consulted some manufacturers, technicians and other suppliers. 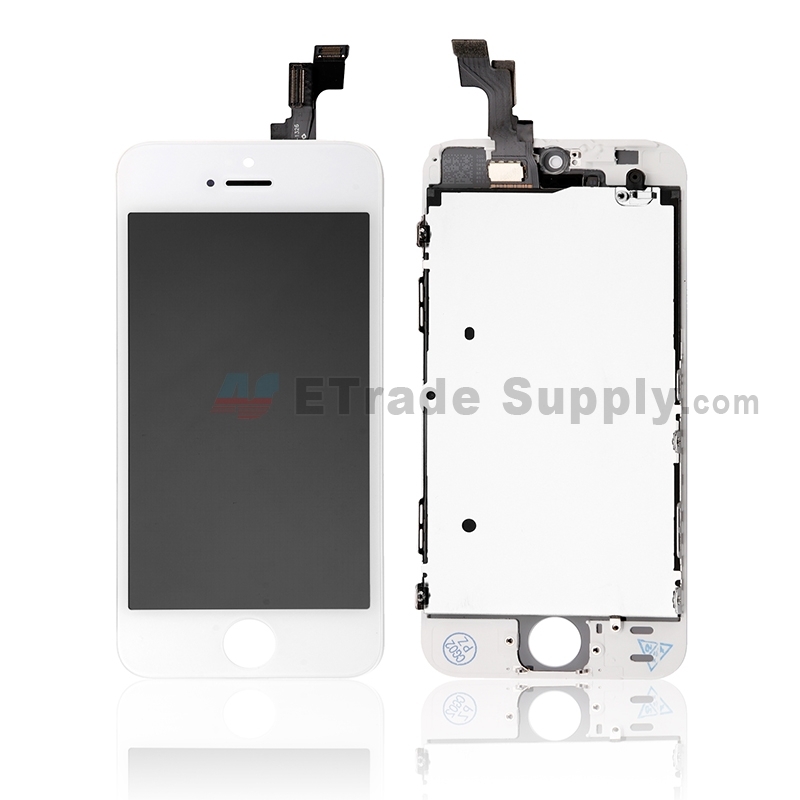 Some said that the 20%-30% rate of turning the iPhone to bricks was due to the Aftermarket LCD installed and burnt some of the IC chips on the motherboard, there's also a saying that its because the iPhone devices has been modified or refurbished without having the official serial number. During the upgrade, Apple database will deny the system from being installed and activated. We are about to find out what exactly is the root cause of the problem. We will let you guys know when we get the answer. Anyways, we’re working on how to distinguish the different parts easily without having to take apart the phone. Stay tuned for the update, or for more information please check out the rest of our blog.